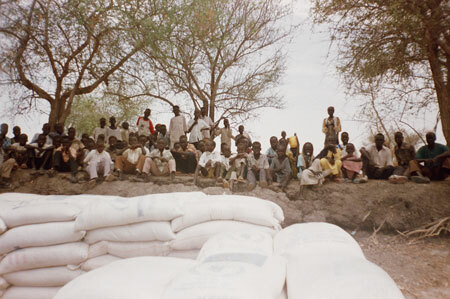 Children on the White Nile river bank waiting for food distribution from the World Food Program. Morton, Chris. "Nuer children waiting for food" Southern Sudan Project (in development). 03 Jan. 2006. Pitt Rivers Museum. <http://southernsudan.prm.ox.ac.uk/details/2007.137.2/>.